Dr. Julian E. Martinez was born and raised in San Antonio. He served in the U.S Navy and was stationed in San Diego and Camp Pendleton, California from 1985 to 1990. In 2000, he obtained his Dental Hygiene Degree (RDH) at the University of Lamar in Beaumont. We offer flexible hours and same-day dental emergency appointments because we want to be the ones you turn to for your dental needs. Please call or email us today to schedule a convenient appointment. We look forward to hearing from you! 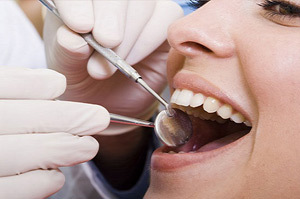 General dentistry involves the diagnosis and treatment of conditions affecting the teeth, gums and jaw. Regular checkups keep your teeth and gums looking good, feeling great, and functioning well, and they can also significantly reduce the amount of money that will need to be spent on dental treatment later in life. With our intraoral camera, you can see exactly what our doctors see during your exam. We use this camera to guide you through your diagnosis and treatment options and keep you fully informed every step of the way. Things that we take for granted with natural teeth, such as eating, talking, smiling and laughing, can all become easier again with restorative dentistry. Our doctors and team at Emerald Crossing Family Dentistry can determine the best of several restorative dental treatment options available to patients whose smiles need a second chance, from natural looking fillings and porcelain crowns to dental restorations and dentures. We can also combine multiple restorative procedures to fit your individual oral health needs and desires for your smile. Because composite dental fillings, often referred to as tooth-colored fillings, can be adhesively applied or “bonded” to teeth, they allow for more conservative preparation than amalgam (silver) fillings. This commonly results in smaller fillings. The tooth-colored material is cured with a special light and the surface is shaped and polished, rendering the final restoration virtually undetectable to the eye and very natural feeling in your mouth. A more beautiful smile can make life more beautiful. Studies have shown that a healthy and attractive smile can raise self-esteem, increase confidence and help you make better first impressions. Sometimes it doesn’t take much treatment for you to feel MUCH better about your smile, and there are a variety of subtle yet noticeable ways that we can enhance your smile. We also offer more significant and dramatic treatment procedures and combinations of procedures, often called “smile makeovers,” that can totally change the appearance of your smile to give you the smile of your dreams! If chipped, cracked or severely discolored teeth are causing you to be self conscious about your smile, porcelain veneers can help! Veneers are a comfortable, conservative cosmetic procedure that can give you the smile you’ve always wanted in as few as two or three appointments. They look and feel like natural, healthy teeth, and are also a great alternative to braces for teeth that are widely spaced or overlapped. Call today to schedule your cosmetic consultation! In addition to giving you the benefit of a cleaner looking and more attractive smile, whiter teeth can also enhance your confidence and self-esteem. Ask us about our custom take home whitening kits at your next visit, and experience professional strength teeth whitening in the comfort and convenience of your own home. According to MedlinePlus, a service of the U.S. National Library of Medicine and National Institutes of Health, about 80 percent of U.S. adults currently have some form of gum disease, ranging from gingivitis to serious periodontal disease. The prevalence of gum disease increases with age, because as we age, our teeth wear down, our gums naturally recede, teeth can become more sensitive and medications can affect some oral changes. If your gums feel tender or look red and swollen, you may be at risk for gum disease. Other signs include bleeding and/or receding gums, extremely sensitive or loose teeth and persistent bad breath. Left untreated, gum disease eventually leads to tooth loss and other more serious health problems. The first thing to do is get a thorough dental evaluation with Dr. Martinez. 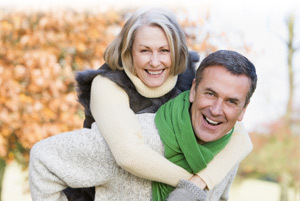 If you have any degree of periodontal disease, we can help. Gum disease used to require surgery more often than not, and while surgery is often still the best option, many cases can now be treated with less invasive techniques first, such as deep dental cleanings, local antibiotics and special mouth rinses. A healthy body needs a healthy mouth, and a healthy mouth needs healthy gums! Oral cancer is one of the most curable diseases when it is caught soon enough, so we screen for early detection. Panoramic x-rays help with this because they allow our doctors to see possible tumors and other problems associated with the jaws. Dental anxiety is not unusual, and people of any age can experience these feelings. We will happily adjust our care to meet your needs, so you can receive the treatment you need and desire at a pace that feels comfortable to you. We also offer sedation options to help you relax. If you've avoided seeing a dentist for a long time because of anxieties about dental treatment, please share your feelings and concerns with us so we can make your visit as relaxing and stress-free as possible.